Island artists have until Jan. 2, 2019 to submit their applications to be considered for addition to the province's Art Bank. Island artists have until Jan. 2 to submit their applications to be considered for the province's Art Bank, which acquires, loans out, and displays works by professional Island artists in public spaces. A budget of $20,000 in funding has been set aside for the project in 2019 — the same amount was allotted to the project last year. 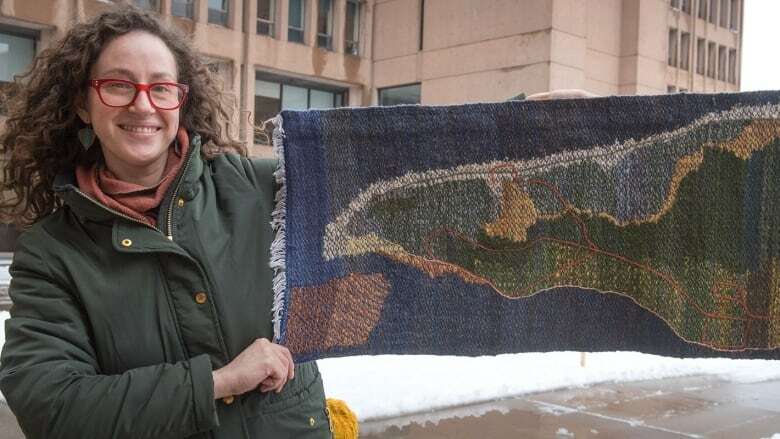 About 230 pieces are already on display in public spaces around P.E.I., said Lori MacAdam, co-ordinator of the Art Bank. "I think it's a wonderful display of the talent that's found on the Island and a large variety," she said, "It's important for a small Island to see we have very talented artists here." Applications opened on Dec. 1 and MacAdam says, she's already received about a dozen submissions. Artists need to fill out a submission form along with proof of their work and a resumé of their work experience as an artist. From there, a jury will select the new art pieces for the collection, which will be announced in March. Audio and video displays are not permitted, but the jury is open to a range of media, said MacAdam. The location as well as how the piece will be displayed are factors, which are also considered, she said. "Are we able to either mount them, or have them displayed in a cabinet, so dimensions are a factor. We have some large pieces so we have to have room to accommodate those." Right now the pieces are displayed in public areas of government offices for the most part, but MacAdam is hoping to expand the project to interested businesses. "We're looking into … if there's any other public domains, public spaces that would like to have some of the artwork as well." About 12 pieces were added to the art bank in 2018 — ranging from paintings, to wood, to tapestry. This is the 40th year for the Art Bank and MacAdam says there is a special celebration planned for spring 2019. "We just want to celebrate that and make the public aware of what is happening and that … what the Island artists are able to give us is quite appreciated."